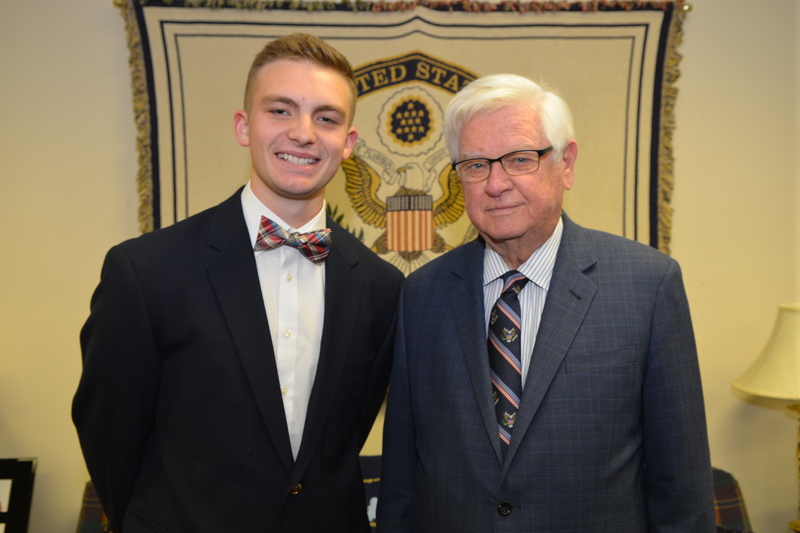 U.S. Rep. Harold "Hal" Rogers (KY-05) recently invited Matt O'Bryan, a senior at Johnson Central High School, to the Somerset District Office to congratulate him on receiving a prestigious appointment to the U.S. Military Academy at West Point in New York. O'Bryan is one of only four students in Kentucky's Fifth Congressional District to receive a military academy nomination from Congressman Rogers this year. "I count it a great honor to support the endeavors of our brightest high school students to pursue a military career," said Congressman Rogers. "While I have the opportunity to recommend a handful of students each year, they must earn the following appointment with impeccable grades, strong character and exceptional extra curricular activities. Matt is an impressive student and I am grateful for his decision to serve this great Nation." O'Bryan is the valedictorian and president of his class. He also received two Commonwealth Ambassador Awards from Kentucky's Secretary of State. His parents are Jeanie and Greg O'Bryan of Leander, Kentucky. "I am honored for this wonderful opportunity to serve my country," said O'Bryan. "Go Army! Beat Navy!" West Point provides a 47-month leader-development program steeped in academic rigor, military discipline, and physical challenges, all built upon a moral-ethical foundation. Upon graduation, cadets are commissioned as second lieutenants in the U.S. Army.